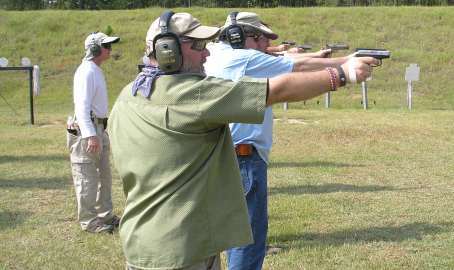 We offer a full calendar of firearms training and classes at our Mississippi firing range and training facility. We specialize in concealed carry endorsements and hold regular concealed carry classes designed to maximize the amount of personal attention you are able to receive from your instructor. Our calendar below lists the dates of our courses, including everything from basic classes, where new gun owners can learn the fundamentals, to full tactical reactionary steel shooting. You can see more details regarding our packages and the requirements for each class here or, if you would like to inquire as to class availability or get a more detailed breakdown of the class schedule, you can call us at 601-528-2410 and speak directly to one of our instructors. **If the dates listed for our Handgun Safety Class and other classes do not meet your schedule, we will try to accommodate you in any way we can. We understand it may be difficult to juggle your schedule to match ours, so call and we will try to meet yours. We continually update classes based on demand.